Provides a useful discussion of the potential transport and transformation processes involved in determining the fate of EMs and thus provide insight into toxicity mechanisms Provides a detailed discussion of the environmental health impacts of explosives Discusses how ecotoxicological data can be used in the development of regulatory recommendations Contains ecotoxicological effects information for different species Covers environmental risk assessment procedures, modeling, and case studies for sites contaminated with explosives Includes chapters based on peer-reviewed literature and technical reports that have then been evaluated by external peer reviewers Summary Managing sites contaminated with munitions constituents is an international challenge. Although the choice of approach and the use of Ecological Risk Assessment (ERA) tools may vary from country to country, the assurance of quality and the direction of ecotoxicological research are universally recognized as shared concerns. 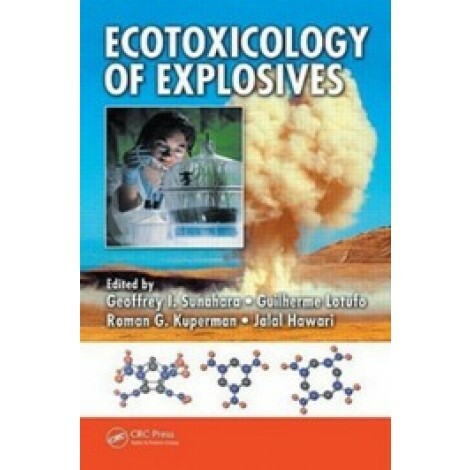 Drawing on a multidisciplinary team of contributors, Ecotoxicology of Explosives provides comprehenisve and critical reviews available to date on fate, transport, and effects of explosives. 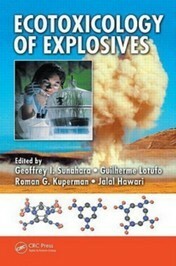 The book delineates the state of the science of the ecotoxicology of explosives, past, present, and recently developed. It reviews the accessible fate and ecotoxicological data for energetic materials (EMs) and the methods for their development. The chapters characterize the fate of explosives in the environment, then provide information on their ecological effects in key environmental media, including aquatic, sedimentary, and terrestrial habitats. The book also discusses approaches for assembling these lines of evidence for risk assessment purposes. The chapter authors have critically examined the peer-reviewed literature to identify and prioritize the knowledge gaps and to recommend future areas of research. The editors include a review of the genotoxic effects of the EMs and the cellular and molecular mechanisms underlying the toxicity of these chemicals. They also discuss the transport, transformation, and degradation pathways of these chemicals in the environment that underlie the potential hazardous impact and bioaccumulation of EMs in different terrestrial and aquatic ecologiocal receptors. This information translates into practical applications for the environmental risk assessment of EM-contaminated sites and into recommendations for the sustainable use of defense installations.